This new installment in the critically-acclaimed Virtua Fighter series packs a serious punch fueled by the power of the PLAYSTATION®3. Virtua Fighter 5 will have an all-star cast of 17 fighters, including characters from the previous iterations along with two new characters named El Blaze and Eileen. El Blaze is a Mexican fighting champion that defeats unsuspecting opponents with his lightning-quick Lucha Libre fighting style and Eileen uses a Monkey Kung Fu fighting style which she learned from her grandfather, a former Kung Fu master. Choose from an array of costumes and attachable items and then step into the ring and prove that you're the best. 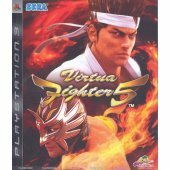 Sega's highly anticipated PlayStation3™ fighting game Virtua Fighter 5 is in stock today, available as Asia Version (US$ 59.90) and Japanese Version (US$ 69.90). 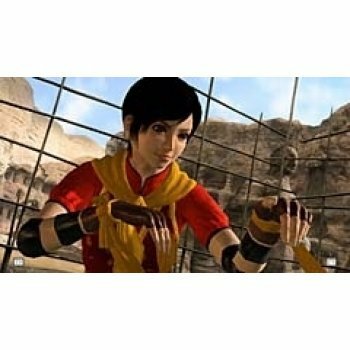 Every copy of the Asia release version ships with a Virtua Fighter 10th Anniversary bonus disc (encoded to play on NTSC/J PS2™/PS3™ consoles only) as long as supplies last. We also received around 50% of this bonus disc with our Japanese version game preorders, which will be included with all early preorders that are shipping today. The Virtua Fighter series is enjoyed best with a fighting stick. Hori's Fighting Stick 3 (US$ 49.90) and Real Arcade Pro Stick 3 (US$ 89.90) are in stock already. The Virtua Stick High Grade is expected to arrive later this week. Due to the high demand, we estimate to fill only around 60-70% of all Virtua Stick High Grade preorders within this week, more supply is scheduled to arrive next week. Two New Characters, El Blaze and Eileen, round out the cast of 17 dynamic characters. El Blaze is a Mexican wrestling champion that uses the Lucha Libre fighting style, and Eileen, originally from China, uses a “Kou Ken” (Monkey style Kung Fu fighting style). Next Gen Presentation includes HD resolution widescreen and 5.1-channel Dolby Digital surround.